We are delighted to provide WSET Level 1, 2 & 3 qualifications here at Hambledon Vineyard. Our Education Manager, Katrina Smith, is qualified to WSET Diploma level and is very passionate to share her knowledge with you all! These courses are designed to give you more confidence with all things wine and no prior knowledge is needed for Level 1 or 2. You will need to pass Level 2 prior to taking Level 3. So – if you want to get into the wine trade, already work in the industry or want to know more about what is in your glass, these courses are perfect for you. And what better place to learn than at England’s oldest commercial vineyard, where our award-winning sparkling wine is produced on the finest Hampshire chalk! You can book online or call the vineyard office and book with Katrina over the phone to avoid Eventbrite’s commission fee. Simply dial 02392 632358. For individuals seeking a core understanding of wines, this qualification explores the major grape varieties and important wine regions in which they are grown. You’ll learn about the styles of wines produced from these grapes as well as key classifications and labelling terminology. A basic overview of the key categories of spirits and liqueurs will also be provided. 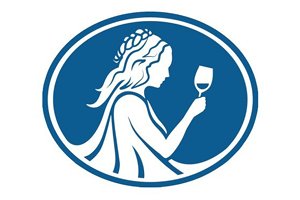 Upon successful completion, you will receive a WSET certificate and lapel pin, and will be able to use the associated WSET certified logo. This qualification has a minimum requirement of 28 hours of study time, including 16 hours of classroom delivery time. The course takes place one evening a week for 9 consecutive weeks, with 2 hours classroom time per evening. Assessment is by a closed-book exam of 50 multiple-choice questions to be completed in one hour. To pass you must correctly answer 55% of the questions. This qualification is regulated by Ofqual. £475 per person. The cost includes all study materials, wine and spirit samples, tuition, examination and postage. Study materials are posted to a student’s address on confirmation of payment fees, so please provide a suitable delivery address with a daytime contact telephone number. ISO glasses are provided for you. You must be of legal drinking age to participate in any alcohol tasting. However, this is not a barrier to successfully completing the qualification. Lunch is provided but you can bring your own food, snacks and drink. · No materials will be dispatched until course fees are paid. · Once payment has been received, a booking form will be posted to the student’s address which must then be signed by the student and returned to Hambledon Vineyard. The student’s place on the course will only be confirmed once fees are paid and the booking form is received by Hambledon Vineyard. · You are required to present authorized photographic identification at all examinations and may be refused entry to an examination if not produced. · Cancellations of confirmed places are accepted up to ten working days prior to the start of the course. An administration fee of £25.00 plus the full cost of the study materials supplied will be deducted and the remainder of the course fee refunded to the payee. · If a confirmed course booking is cancelled during the ten working days prior to the start of the course, or at any time after the start of the course, no refund or transfer of the course fees will be made. · Transfers of a confirmed booking either to another course or applicant can be made up to ten working days before the course start date on payment of a £25.00 admin fee plus the cost of any additional study materials which may be applicable. This is valid from one calendar year of the original booking. Please note all transfers are subject to availability on alternative course/examination dates. · Examination dates are fixed to the course onto which you book and any transfer to an alternative date will incur an administration fee of £25.00. All transfer requests must be made in writing or by email (events@hambledonvineyard.co.uk) at least ten working days before the original examination date. · Failure to attend booked examinations will result in the student being liable to subsequent examination fees. Resit examinations are not included in the fees. · Course fees will be refunded in full if Hambledon Vineyard changes a course date or cancels a course if enrolments do not reach the required minimum numbers – notification will be made in the ten working days prior to the planned start date of the course. · Students requiring special examination conditions must submit their request before starting the course. Such requests must be supported by a doctor’s certificate or similar document. By booking your places on the course you are confirming that you have read and understand all the above booking conditions.